NYC, NY/LA, CA /That Shady Looking Van With All The Smoke Coming out of it – Just in time for Jay & Silent Bob’s Super Groovy Cartoon Movie (okay, maybe not just in time as we found ourselves a little preoccupied this past April 20th when the books actually did come out) comiXology is pleased to announce a digital distribution deal with Graphitti Designs and View Askew to distribute Kevin Smith’s original Clerks comics through comiXology, the revolutionary cloud-based digital comics platform available across the iPhone, iPad, Android, Kindle Fire, Windows 8 and the Web. 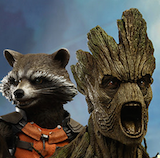 “At first I was like ‘Dude! We need to get more 90’s comics on comiXology’ and then I was like ‘didn’t that Kevin Smith guy do a bunch of great stuff, when that one movie came out?’ and then the next thing I know I’m looking at this stuff in Guided View and it’s just like…whoa!” said comiXology’s PR guy Chip Mosher. “I figured ‘What The Hell?’ sounds cool to me,” said Kevin Smith "I've been digitally manipulating myself since I was 12, but I'm gonna enjoy my digital comics way more than that favorite pastime! I'm ecstatic the adventures of Jay and Silent Bob are joining comiXology in the 21st century!" In a puff of smoke, these books appeared April 20th, 2013 as Kevin Smith and company hit the road for Jay & Silent Bob’s Super Groovy Cartoon Movie tour. 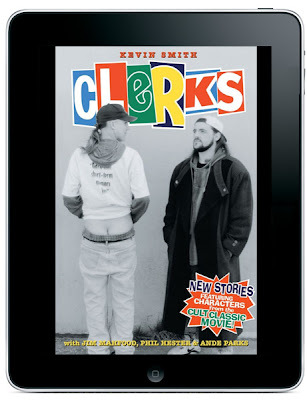 Fans of Kevin Smith’s one of a kind Clerks universe can now experience Bluntman & Chronic, Clerks, Chasing Dogma and the Tales From The Clerks collection…and in comiXology’s unique Guided View™ reading technology. Which makes for one trippy reading experience. The full list of books released includes: (In case you didn’t actually read the above paragraph). 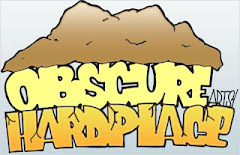 In addition to these latest offerings comiXology was suckered into is a proud sponsor of Jay & Silent Bob’s Super Groovy Cartoon Movie Tour, chipping in for gas and munchies along the tour’s 14-city wide route this summer. Fans of all things Jay & Silent Bob can follow the action on Twitter, Facebook and Google Plus as updates on tickets and tour stops roll in.